The PCC's action has also triggered the resignation of her deputy Emily Spurrell, who said Ms Kennedy had made the "wrong decision". Ms Kennedy said she had quit over the resignation of Luciana Berger MP and Derek Hatton's readmission to Labour. She said she was "ashamed" of the treatment of Ms Berger. The former MP for Liverpool Wavertree told the BBC the state of Labour over anti-Semitism had become "intolerable". Ms Kennedy said it was damning Ms Berger had had to resign over abuse. She said: "I feel ashamed that the Labour Party had put her in that position." She said she was also "disappointed" Ms Spurrell had chosen to resign. "She has done so because I confirmed to her that I left the Labour Party after the resignation of Luciana Berger MP and the announcement that Derek Hatton had been re-admitted into party membership," she said. "Emily has been aware that I have been deeply disturbed by the abuse suffered by Luciana Berger and other Labour elected members across Merseyside. Ms Spurrell said: "I am extremely saddened and disappointed with this decision and believe it is the wrong thing to do for the people of Merseyside who voted for a Labour Police and Crime Commissioner to put Labour values at the heart of policing. "Merseyside [Police] have lost over 30% of their funding since 2010 and continue to suffer under this Conservative government's pernicious programme of austerity. This is why I firmly believe we need a strong Labour voice as Police and Crime Commissioner." 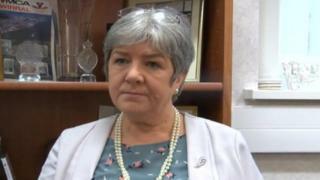 A Labour Party spokesperson said: "We are disappointed that Jane Kennedy has left the party and thank her for her service."